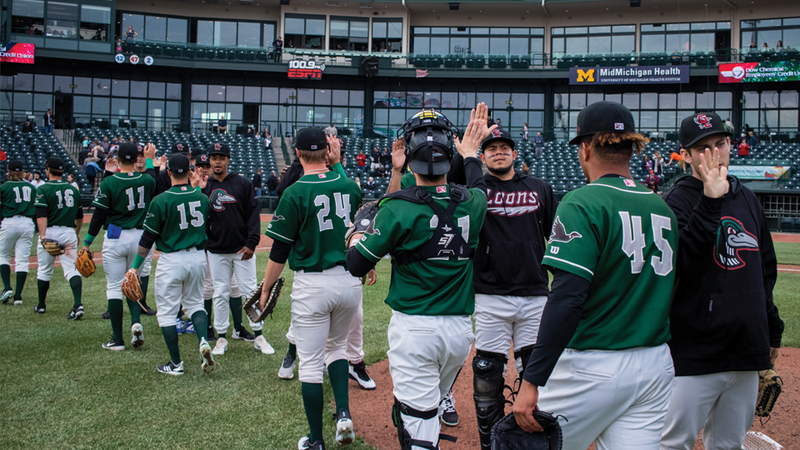 MIDLAND, Mich. - It seemed like a relative walk in the park for John Shoemaker's group on Sunday afternoon as the Great Lakes Loons defeated the Lake County Captains 6-0 for their first victory of the 2019 campaign. As was the case entering the season, Shoe was sitting at 199 career wins as Loons manager heading into the game. He's the second manager to win 200 games, trailing only Juan Bustabad (225) who was in charge for three seasons from 2009-11. In the first shutout of the season, Guillermo Zuniga started things off on the mound for Great Lakes (1-3) scattering three hits over 2.2 innings pitched. Jose Chacin (W, 1-0) proceeded to steal the show tossing another 5.1 innings of scoreless baseball, including five strikeouts. Joel Inoa finished the job with two more punch outs in the final frame. Steady was the offense as two runs in the 1st inning and another in the 2nd gave the Loons a comfortable advantage to play with all afternoon. Romer Cuadrado drove in two runs, while Jacob Amaya doubled and drove in a run. Miguel Vargas is one of only two Loons players to appear in all four games so far this season, the other being James Outman. After going hitless in the season opener, Vargas has now put together a modest three-game hitting streak, including three doubles in the first two home games. 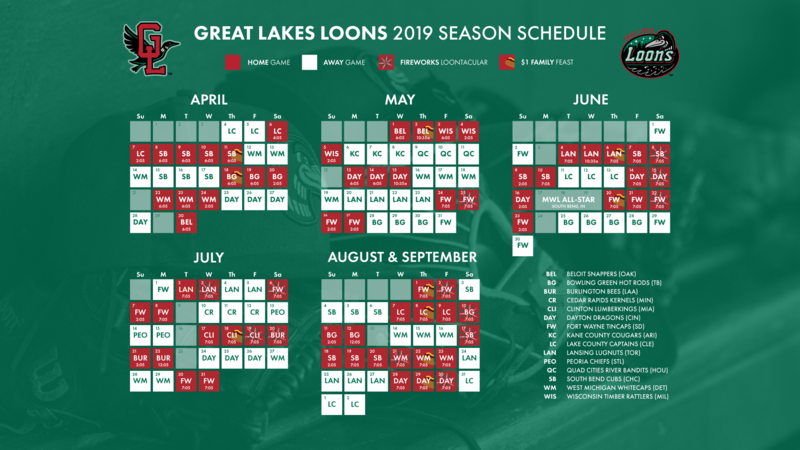 Now that the Loons have their first win of the season, they'll be looking to take their first series of the season when the South Bend Cubs arrive in town on Monday to begin a four-game series. All games begin at 6:05 p.m. at Dow Diamond thru Thursday. Don't forget about one our new promotions "Military Mondays," which fans will experience for the first time this week. All military veterans, or current serving personnel will receive a voucher for a free meal upon entering the stadium.